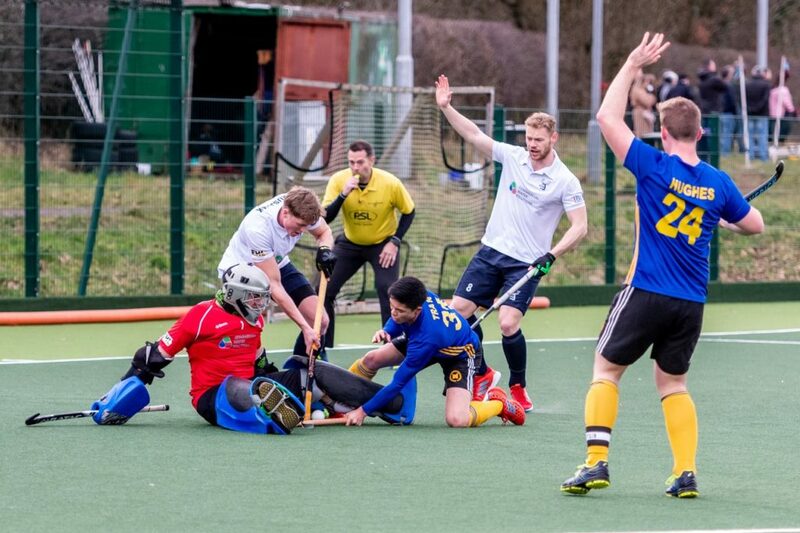 Grange consolidated their position at the top of the men`s National League 1 with a 3-1 victory over Uddingston, but in the women`s competition Edinburgh University remain second after a 3-2 defeat at the hands of Western Wildcats. A double of set piece strikes from Dan Coultas was the catalyst in Grange`s 3-1 win over Uddingston, a result that keeps the Edinburgh side at the top of National League 1. The champions were two up at the interval, Coultas opened in ten minutes, then Duncan Riddell doubled the tally after several passes down the left flank opened up the Uddingston defence. In the second half Coultas struck again at a penalty corner while Chris Boyle snatched a consolation for Uddingston. Grange`s lead at the top was extended to six points when Western Wildcats were held to a 1-1 draw by Edinburgh University at Peffermill. After a goalless first half, Matt Taylor put the students ahead from the spot, but Rob Harwood levelled for Western Wildcats with a well-worked equaliser. Third placed Grove Menzieshill also lost ground after being held to a 1-1 draw by Clydesdale. Chris Moon put the Taysiders ahead in the first half but Chris McFadden equalised at a penalty corner for a share of the points. Hillhead consolidated their fourth position with a comfortable 4-0 victory over Kelburne. Graeme and Ewan Campbell put the Glasgow side two up at the interval. In the second half a long pass from Ross Jamieson found Jude Boslem and he dispatched the ball into the roof of the net from a narrow angle. The final goal came from a fierce reverse stick shot into the top corner from Fraser Ward. Edinburgh University failed to grab pole position in women`s National League 1 after going down 3-2 to third placed Wildcats. The scores were tied at 2-2 in the second half, Sophie Maunder and Ellie Hutcheson scored for the champions while Erin Stevens and Megan Cox replied for the Wildcats. In the closing stages it was the Wildcats who clawed their way to victory with a strike from Kate Holmes. Dundee Wanderers consolidated fourth spot after a 5-2 win over Watsonians on Tayside. The catalyst was a hat-trick from Vikki Bunce, while Charlotte Watson and Heather Elder got the others, and Holly Shepherd and Rhona Gowans scored for Watsonians. 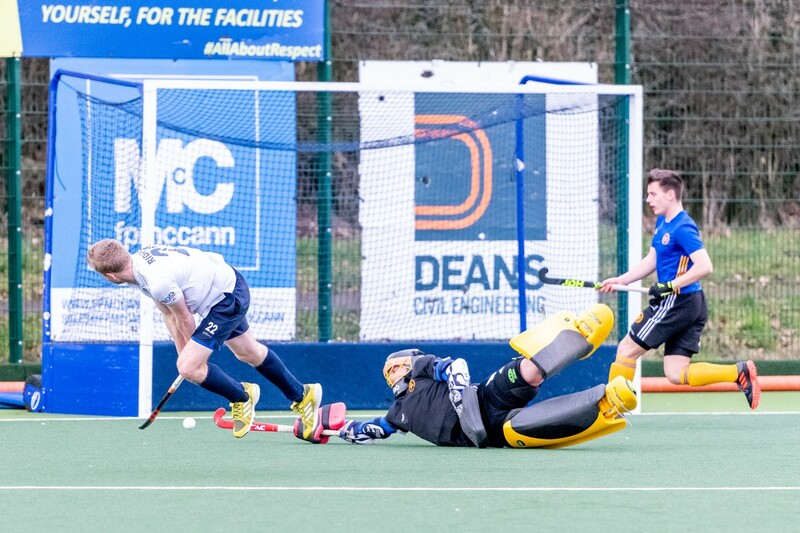 In the lower reaches Hillhead moved up to eighth with a 3-2 win over neighbours GHK while GlasgowUniversity also moved up a place after seeing off bottom side Grange 3-0.